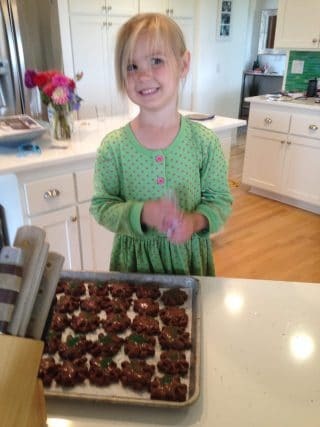 Baking chocolate turtle cookies is a family tradition in our home. I was about ten-years-old when my Grandma Snow shared her recipe with me. Why are they so special? Well, first they’re chocolate. But the fun part is making them in a waffle iron! The ingredients are simple, the preparation is easy, but some patience is required. 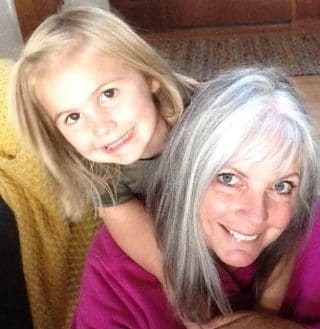 We can only cook four at a time in our waffle iron, so the temptation to eat them as we go is torture for my granddaughter and me! This special recipe is my gift to you this holiday season. Make them with someone you love. 2 sticks butter plus 2 T.
Combine cocoa and butter over medium heat, stirring constantly until the butter is melted and well blended with cocoa. Beat 4 eggs in a bowl, add sugar, combine egg and cocoa mixture and then add flour. Heat waffle iron (set to medium heat). Brush with vegetable oil, and drop batter by the teaspoon-full onto waffle iron. ¼ C. butter, plus 1 T.
1 t. vanilla and 2 ½ C. powdered sugar. SPRINKLE WITH GREEN SPRINKLES while frosting is still wet. (This is the perfect task for children!) ENJOY! I was just a child the first time I vacationed at my Grandma Snow’s cabin in Minnesota. The moment I stepped into her kitchen, I gasped so loud it startled everyone within earshot. 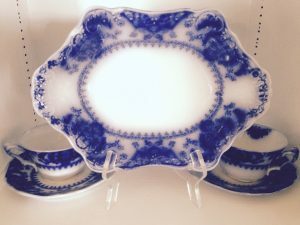 In front of me stood an old, rustic pine wood hutch holding a beautiful set of antique flo-blue dishes. I swooned over every dainty teacup, delicate plate and elegant bowl displayed there. Since that day I’ve loved all things blue. My grandmother never forgot my spontaneous reaction to her favorite blue dishes. When she died at the age of 96, she bequeathed the entire set to me—a gift so precious I hardly have words for it. The color sparks joy, of course, but it’s the memory of her I see in each lovely piece that is the true gift.